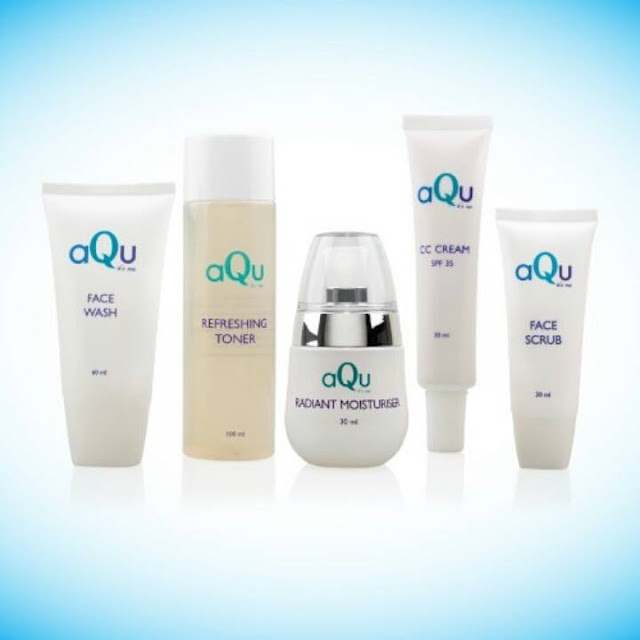 aQu – it’s me, a basic water based skin care product which consists of natural plant and fruit extracts is formulated based on the latest biotechnology advances and caters to every youth and young executives needs. aQu-it’s me which is exclusively available at selected 111 Watsons outlets nationwide has its ingredients certified HALAL by the Department of Islamic Development Malaysia (JAKIM) and is certified safe for use by the Ministry of Health Malaysia (KKM). 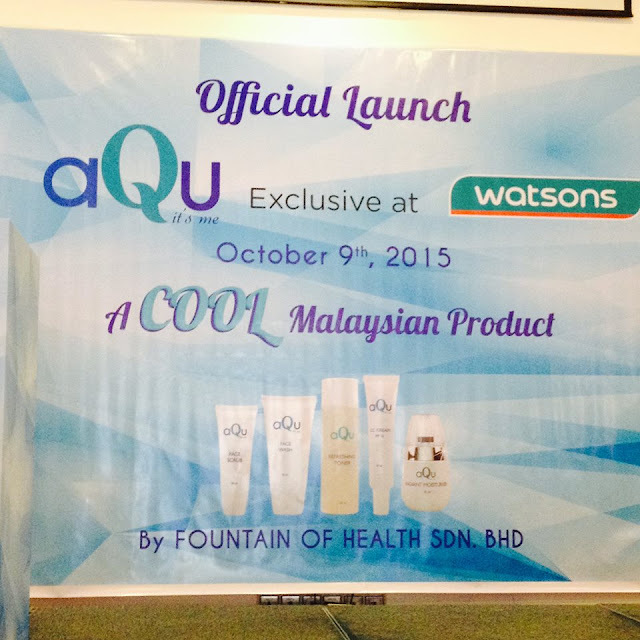 The ambassador Miss Malaysia 2013, Careyon also one of the user for aQu-it's me.For the gimic of the launching ceremony was placing the aQu-it;s me banner on the board with the Watsons banner, as it will available exclusively at Watsons nationwide. 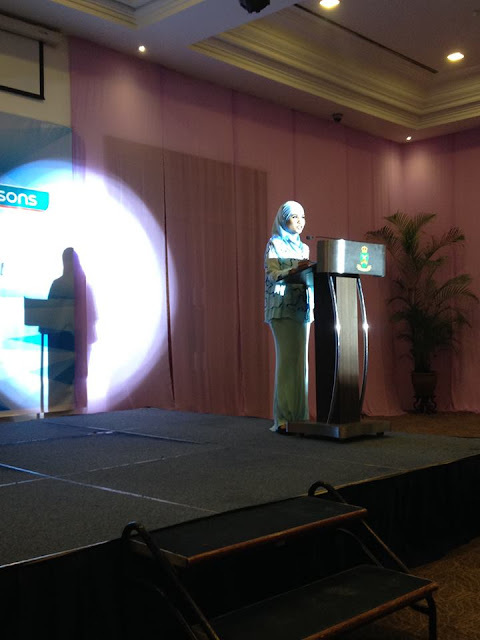 After the launching, there was an open Q&A session with the media. The panel for the Q&A session was Miss Adura, Miss Careyons and the founder of aQu-it's me ;Yang Mulia Tengku Mudzaffar Tengku Zaid. Q1:What is the target market for the product? 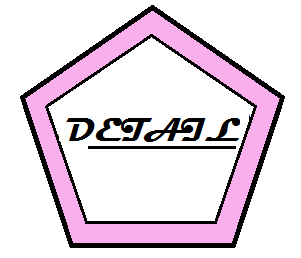 A: The products target market are for teenagers at 15 to 35 years old executives. Q2:Which type of skin suitable for the product? A: These products are suitable for all skin. Q3: What is the company's future mission? A: Their mission was to double up the sale for next 5 years. During the launching, they also played the viral video of aQu-it's me featuring their ambassador and famous Chinese actor, Kit Mah. Let's watch it here. 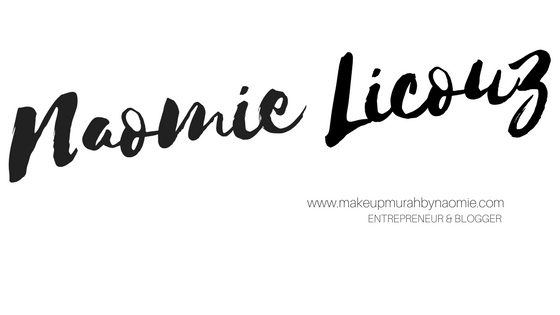 Let's talk about the products, shall we. for this range, it focused on hydrating the skin. As the main ingredient for was Aqua, (Water). The content of the ingredient are rich with plant and fruits extracts that are good for the skin. Plus these skincare also free from harmful chemicals. Some of the testimonials also shows good improvement on the skin and some o them taught this skin care are from Korea. 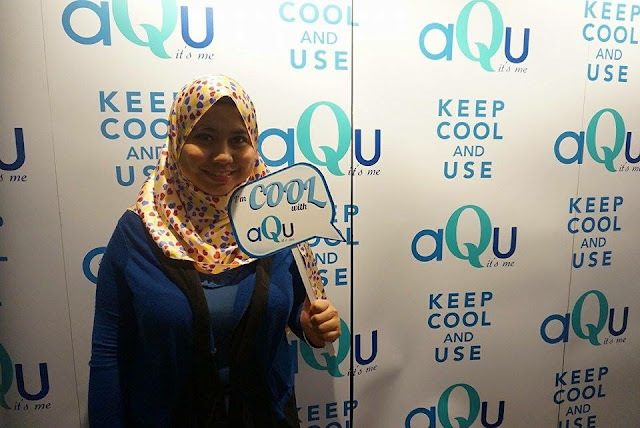 But no ladies, aQu-it's me is mainly and produce in Malaysia. As for now, the laze really gives effect on the skin. Thus, a good moisturizers, cleanser, face scrub, toner and CC cream are needed. As these are 5 basic steps in maintaining good skincare. 1. Face Wash RM25.00: every morning and before we sleep, it is a MUST STEP that everyone should do. Wash your face and keep it fresh all the time. 2. Toner RM23.00: After face wash, apply toner. to get rid excess dirt and to absorb nutrient inside the toner to the skin. 3. Moisturizer RM35.00: to keep the skin hydrated and supple, apply hydrating moisturizer. 4. 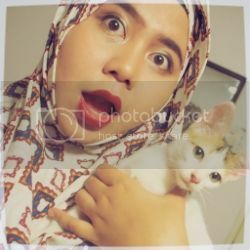 CC Cream RM29.90 : As a base before apply compact powder. Plus it have SPF 35 too. 5. Face Scrub RM20.00: Scrub your face once or twice a week. This is to get rid of tough dirt or white and black spots.